Laura of Cat Tales With Laura and Sara of All In An Iowa Mom’s Day and Travel With Sara and I were going on a trip –the trip of all trips for us “mid lifers”. 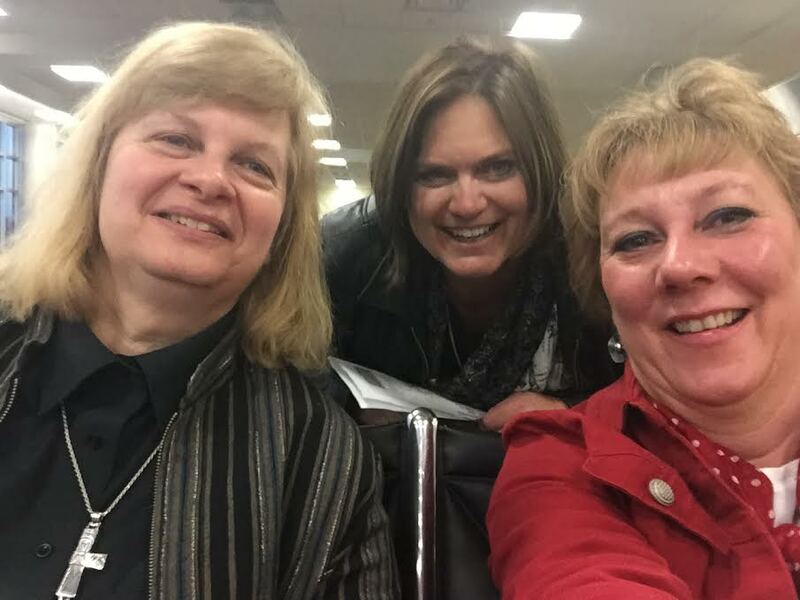 We were headed to Nashville to attend the first ever Bloggers At Midlife Conference which was being held at the Gaylord Opryland Resort and Convention Center. Sara was on a panel and we were excited to hear all the great things that were going to be presented and to meet all of the people we have been anxious to meet. We had reserved our rooms, booked our flights months ago and had planned to go early so that we could do some sightseeing and exploring in the wonderful city of Nashville. I was hoping to catch a glimpse of Deacon and Rayna. We drove up to Minneapolis the night before our 7:20 am flight and stayed in a motel so we could save some time in the morning. We hopped the shuttle to the airport and boarded our flight with no problem. And then Thor stepped in. Yes, Thor. That non-mythical winter storm that has crippled a portion of the country. When we landed in Kansas City we had text alerts that our flight to Nashville had been canceled. So the wait began to try to get rebooked on a later flight. When we got to the desk the news was not great. All flights from Kansas City to Nashville were canceled for the rest of the day. There was talk of some highways being shut down. All flights on Friday were already filled and most were overbooked at that point with standby lists growing. There was the possibility of being on stand by for flights on Saturday but since the conference was basically only Saturday with the exception of the Friday night gathering and cocktail party it seemed a bit ridiculous to hang around in Kansas City for 2 nights when there was no guarantee that we could even get on a flight to Nashville to be at the conference for even part of the day. The tough decision was made to fly back to Minneapolis and just cut our losses and go home. We were in the Kansas City airport around 90 minutes. Goodbye to our lovely hotel. Goodbye to the lovely meeting new friends. Goodbye to learning more about blogging. Goodbye to one night of hotel cost that could not be refunded. Goodbye to all the fun swag I was anticipating getting from the conference sponsors. I know that is shallow but come on—we all love swag! Goodbye probably to the ticket cost of the conference. Sigh. To say that I am over winter is a true fact. In fact today I am way over winter. I try not to whine and complain but my travel history lately has not been too great because of storms. I am not a fan of winter and I hereby am breaking up with it. The only plus side of all of this is that the hubby was coming in to go hunting this weekend and lo and behold he got into Minneapolis just about the same time I did so we drove home together and I get 2 unexpected nights with him. So I can’t complain, can I? I’m sorry you weren’t able to make it to BAM conference but at least there was an upside to returning home for the weekend! I hope you and Chris enjoy the warmer temperatures at home. Thanks, Val. It has been kind of a hard couple of weeks but yes—-it was fabulous to have some couple time. He is going hunting today and tomorrow but at least we have a couple of unexpected nights. And I am not stranded in some random airport. I think it’s okay to complain.. 😀 I am happy it worked out that you got to spend some time with your Hubby! And I bet the cats are happy too! Enjoy your weekend Beth Ann! The cats are very happy. 🙂 Especially since they have been relegated to the bedroom all week because of painting in the house! 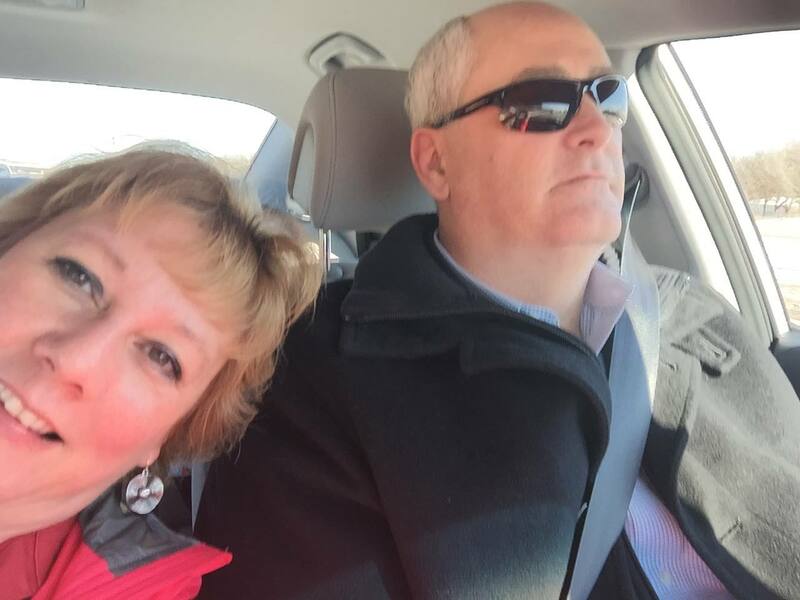 I’m sorry your travel plans didn’t work this weekend:( I’m glad you had such a fantastic duo to travel with and can see Chris. I did have a fantastic duo to travel with and we made the best of it for sure. And now I will get to have another adventure with YOU and Jessica and Val! Oh, rats. I am sorry, dear friend. You really needed this get-away. But bonus that you now have this time with Chris. It was a horrible no good day and I tried to be positive but as everyone else is posting pictures from the conference I am getting verklempt about it soooooo a few of us are going to go to Belmond today to try out a little bakery that they want the bloggers to come visit! Gotta find a new adventure today so I am doing it. I’m so sorry you guys didn’t get to complete the intended adventure, but….at least you do have memories of the new adventure. And….you can’t beat extra time with Mr. Diamond. Hugs! We definitely had an adventure. And yes–time with Mr. Diamond is a good thing at this point. Hope your getaway is wonderful. It was great to see you yesterday! Nothing we can do about the weather but you certainly have had your fair share of messed up travel plans due to bad weather lately. You have such a good attitude about it all and 2 nights with Mr. Diamond is a real bonus!! Winter has to be over soon for you!! Winter will end. I know it will but this was a huge disappointment . Especially now that everyone is posting all these fun pictures from the conference. Wahhhh! I think I will avoid Facebook today so I don’t see them all! Oh and I’m so over winter too! Thanks, Gibber. Yea, we are all over winter, aren’t we? Even winter lovers are over winter at this point. I think you’ve earned whining and complaining rights at least for the weekend. WInter has long overstayed it’s welcome this year.. The stress home for Amy’s visitation, missing your conference, untold number of delays and set backs and of-course missing seeing me! And while spending extra time with Mr. Diamond is nice–lets face it it’s not the same as a mid-lifer blogging conference with swag. I say we wave old man winter off with our middle finger.Enough is Enough. Well I don’t know if I have earned it but I did whine a bit. Add to it that we are having painting done at the house that is not going as well as expected and my domain has been in chaos all week —–argh! I may not have been handling it well. 🙂 Yes, Enough is enough! Two unexpected nights with the hubs is SO worth it! Agreed. It was the only up side of this disaster. I am so sorry you were not able to get to the meeting. I am sure you were glad Chris was with you on the way home. Maybe you will go another time. I sure hope you’re signed up for frequent flier miles! I never thought I’d say this, but Yay for hunting! Haha! That made me giggle! I tried to make the best out of it. Tried. Not sure I was able to pul lit off. Thanks, Donna. Yes, it did stink and I am still sad about it but yes—-I did have some nice time with “dad”. This has been such a hard winter for travel in some parts of Canada & the US! So sorry you had to miss your conference. Hanging around airports is the worst!